Uploadafrica is music streaming platform designed to allow users access Africa music and provide opportunities for musicians to manage their career & connect with Fans and other artistes, Uploadafrica also provides opportunities for music lovers to connect with Artistes, DJs and Entertainment Entrepreneurs. Uploadafrica allows users to play their favourite songs and create Playlists. It also have features that enables users connect with other listeners and artistes. It's Simple. It's Music. 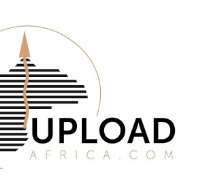 Log on to www.uploadafrica.com and Join the Community.